These new Feiyue high top shoes give you more secure fit and ankle support. 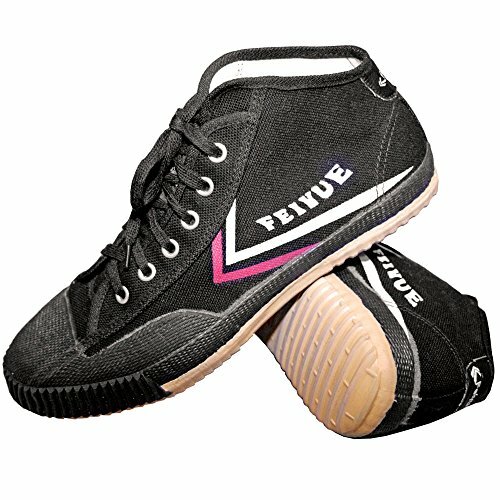 Feiyue is China's most popular martial arts shoes; its performance and comfort you can count. Finally. Now you can get all the performance and comfort you've come to expect from Feiyue Martial Arts Shoes in a Hi-Top Design. Feiyue is China's most popular martial arts shoe for good reason. Lightweight yet durable construction, now with the secure fit and ankle support of a Hi-Top, these new Feiyue shoes give you more stability and flexibility at an extremely affordable price. A modern shoe for an ancient tradition. Now, come in a Tiger Claw Shoe Bag.